So while I was lazing in a field in West Wales, Apple approved mobileAgent 1.4.1. 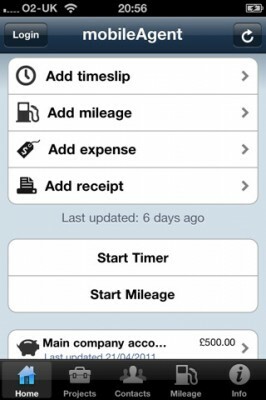 The main new feature in this release is Receipt Capture. Receipt capture is very much like adding an expense, except it pushes the captured image to Dropbox (or email), so you can use it when you do your bank reconciliation. I'd love to see this integrated into FreeAgent, so an item can be picked from a list when I'm doing the reconciliation, but this is a good stop-gap. Just pay for whatever you are buying, take a photo of the receipt, and forget about it until you need it at the end of the month. Nice and easy.